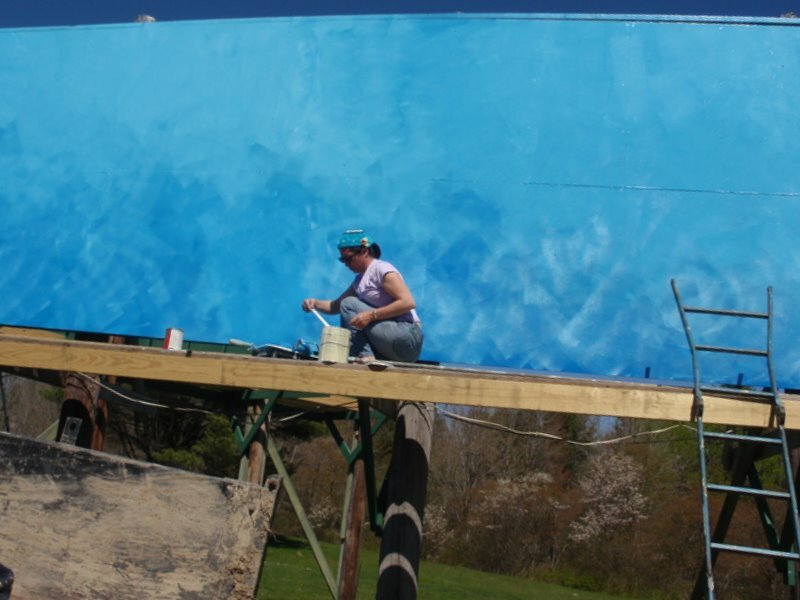 Billboard Update – Maine. Ocean. Camping. Yesterday…what a glorious day! But that billboards higher up than you’d think…when the wind blows the scaffolding that you walk on feels mighty narrow…vertigo?…not me. 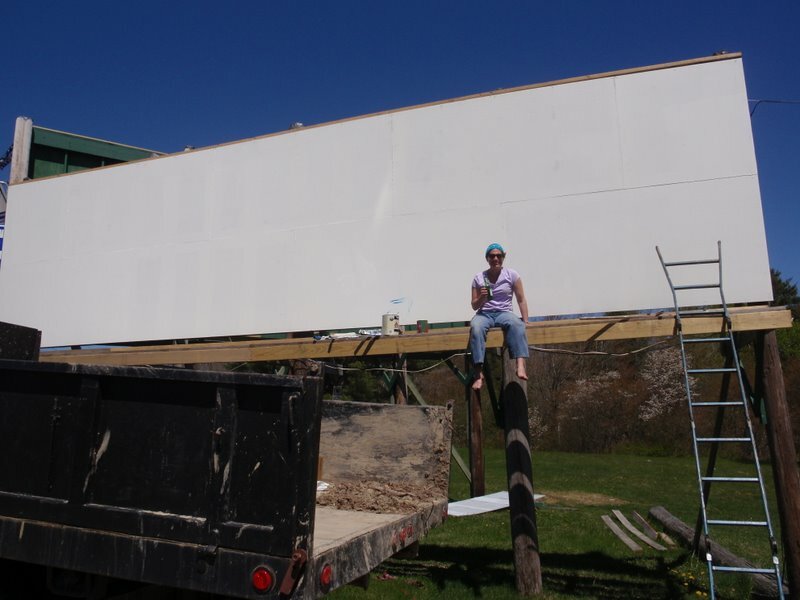 Re-doing the billboard has had it’s share of hiccups and challenges…but we’re on track for having a roadsign by the weekend…dancing between the raindrops, the windy days and paint adhesion…but it’s going to be so, so, so, very cool! LOVE IT ALREADY ! BEAUTIFUL ! I just love the blue background behind the waves……fabulous!! Wow! Can’t wait to see it! We’ll definitely be coming up to visit you all this summer.